Forget traditional bikes or skateboards – the future of NEXT GENERATION transportation is here. It’s the world’s smallest, most lightweight folding ebike, just 7kg. 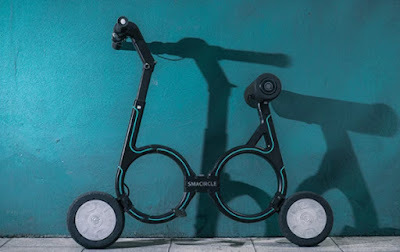 The S1’s 240 W motor drives the front wheel’s power to reach 20 km/h, while riders can use a thumb throttle to adjust their speed. It features an accompanying mobile app, which allows users to lock and unlock the eBike, adjust the speed, light and monitor battery life. It also monitors the rider’s average and maximum speeds during trips, while mobile devices can be attached to the handlebars easily to stay in the know. The S1 automatically connects with mobile phones when its rider is within range. when the security lock is activated, the accelerator deactivates automatically. with the security lock, no one else can unlock or ride the eBike.